From ground preparation to harvest, all aspects for successful cultivation are included. Ginger produces an attractive plant and a pungent spice that can be cultivated in a back yard or balcony garden. 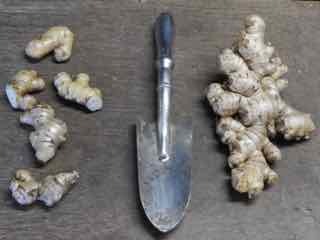 Climatically suited to the Sunshine Coast, ginger is an undemanding yet productive crop that will put zingiber in your step. Be the first to review “Growing Ginger, event 3/9/17- 12pm” Click here to cancel reply.